New Delhi: The Delhi Traffic Police on Friday issued advisory to ensure smooth conduct of 70th Republic Day parade in the national capital. Commuters have been advised to avoid certain routes and roads. 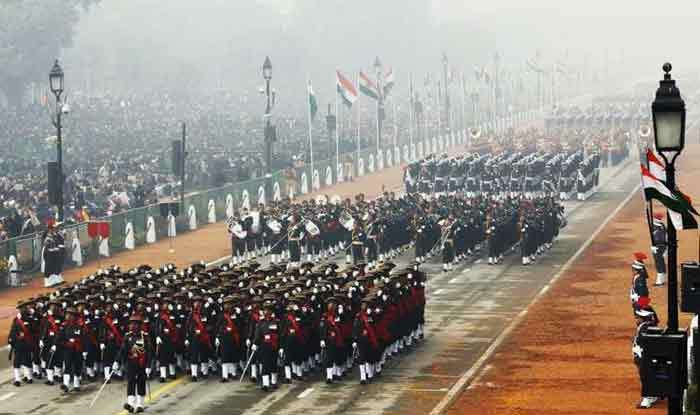 The Republic Day Parade will begin at 9.50 AM from Vijay Chowk and proceed for Red Fort Grounds. The parade will begin from Vijay Chowk and then move towards Rajpath, ‘C’ Hexagon, Tilak Marg, Bahadur Shah Zafar Marg, Netaji Subhash Marg, to culminate at Red Fort. People are requested to abide by the elaborate traffic restrictions imposed in the wake of celebrations on January 26. No traffic on Rajpath from Vijay Chowk to India Gate from 06.00 PM on 25.01.2019 till Parade is over. No cross traffic on Rajpath from 11.00 PM on 25.01.2019 at Rafi Marg, Janpath, Man Singh Road till Parade is over. ‘C’-Hexagon-India Gate will be closed for traffic from 02.00 AM on 26.01.2019 till Parade crosses Tilak Marg. From 10.00 AM on 26.01.2019 traffic on Tilak Marg, BSZ Marg and Subhash Marg will not be allowed on both directions. Cross traffic will only be allowed depending upon the movement of the Parade. No HTV/LGV will be allowed to enter Delhi from borders from 22.00 PM on 25.01.19 till the Parade is over. No HTV/LGV will be allowed to ply between ISBT Sarai kale Khan and ISBT Kashmere Gate on Ring Road from 07.30 AM to 13.30 PM on 26.01.19. The Delhi Traffic Police also issued instructions that are to be followed by the general public. The department has advised the people to inform the nearest policeman on duty as soon as possible in case any unidentified object or suspicious person is seen. Furthermore, prohibition has been imposed on flying of sub conventional aerial platforms like para- gliders, para motors, hang gliders, UAVs, UASs, microlight aircrafts, remotely piloted aircrafts, hot air balloons, small size powered aircrafts, quadcopters or para jumping from aircraft etc. over the jurisdiction of national Capital Territory of Delhi from January 9 to February 9.